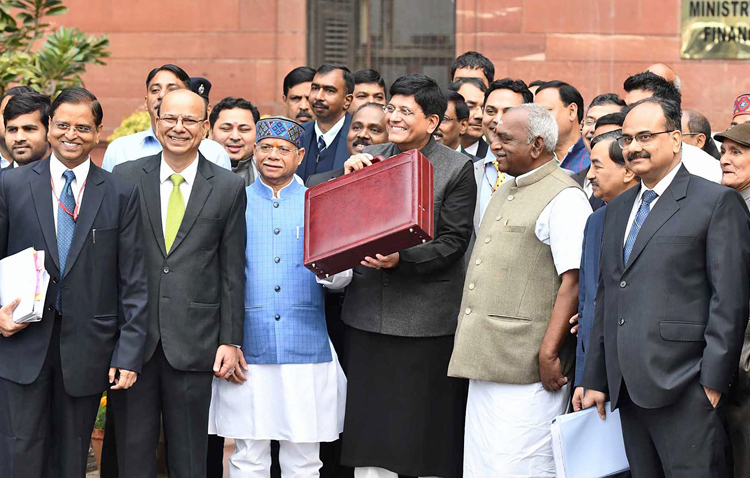 The Interim Budget speech by the Interim Finance Minister (IFM) on February 1, 2019, covered defence budget allocation for the next fiscal year in precisely 34 words by saying, "Our Defence Budget will be crossing Rupees 3,00,000 crore for the first time in 2019-20. For securing our borders and to maintain preparedness of the highest order, if necessary, additional funds would be provided." More words were used to describe money spent on one rank, one pension (OROP), and grant of "substantial hike" in Military Service Pay (MSP), both of which are misnomer because instead of OROP what has been disbursed is one time increase in pension (OTIP), not OROP. If OROP was indeed given, why would Supreme Court issue notice to Centre on January 3, 2019 for inordinate delay in removing anomalies in implementation of OROP, and why would thousands of ex-servicemen protest at Jantar Mantar since past three years plus with media coverage blacked out by government despite so-called freedom of press? 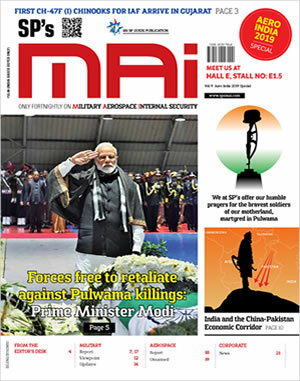 In case of MSP, all national dailies carried headlines on December 5, 2018, stating 'government rejects demand for higher military pay', elaborating government decision had "anguished" the Army because this long-standing demand affects over 1.2 lakh military personnel including Junior Commissioned Officers (JCOs). That is why IFM couldn't quote figures of amount disbursed for the so called "substantial hike" in MSP, as he did for OTIP. But then mendaciousness is routine with lawyers and politicians. As for the 3,00,000 crore defence allocation, bit about "if necessary, additional funds would be provided" is routine and remains cosmetic. A small news item on Page 6 of a national daily dated February 2, 2019, reads 'Military gets smallest pie of GDP since China war', elaborating that military modernisation will continue in slow and haphazard manner with annual defence budget registering nearly 6.8% hike over last fiscal, and that the defence allocation of 3.18 lakh crore for 2019-2020 is just 1.5% of GDP � lowest since 1962. Capital budget for the Armed Forces is reportedly 103380.34 crore while 198485.76 crore is earmarked for the Revenue expenditure. But point to note is that Defence Budget for 2018-2019 stood at 2,96,511.41 crore (1.58% of GDP). The increase in the allocation was projected as 5.91% over FY 2017-2018, but in actual terms it was 'negative' growth considering annual inflation rates, higher costs of weapon systems etc. As per latest news, India has asked Russia for 18 more Sukhoi-30MKI fighters to boost IAF's fighter fleet. But India is paying USD 9.5 billion for 36 Rafale fighters while US Air Force is paying USD 11.5 billion for 141 x state-of-the-art F-35 and Japan is buying 100 x F-35 for USD 8.8 billion. Why didn't we bargain for 100-108 Rafale fighters within same price of USD 9.5 billion? With imports from US, Russia, France, Israel and elsewhere in pipeline, little money will be left for modernisation, including at the cutting edge, where battles are being fought every day. Negative defence allocations of FY 2018-2019 resulted in scores of ongoing projects of the Army being foreclosed, including vital ones like the battlefield management system (BMS). The next fiscal is likely to be more adverse. This is even more dangerous with China redoubling modernisation of the PLA, fortifying border deployment and boosting presence around India. In the absence of a national security strategy, the government appears focused mainly on economic engagement and diplomacy. There are cries about ballooning pension bills but government ignores the fact that per capita annual expenditure on 25 lakh military veterans is about 1.5 Lakh compared to 5.38 lakh for civilian-defence pensioners who also serve longer, reach highest grades in pay scales, draw OROP and Non-Functional Upgradation (NFU) Allowance, which are denied to Armed Forces. There are four lakh civilian-defence employees against 14.5 lakh Armed Forces � ridiculous ratio of 1:3.6. 41 Defence Ordnance Factories have 200 plus Joint Secretary-level officers (Major General equivalent) while civilians in MES have 11 HAG-grade officers (Lieutenant General equivalent). 36% of defence pension bill goes towards pension of civilian-defence employees. Defence expenditure also includes about 1000 crore annually on account of allowances and establishment of MoD (Finance) personnel 'attached' to MoD from Ministry of Finance.